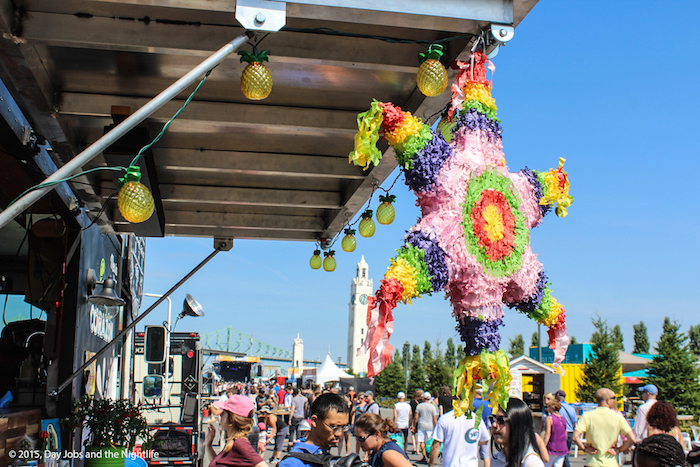 The second edition of YUL EAT satiated the appetite of over 103,000 foodie festival-goers during the three day festival held in Montreal’s Old Port at the Clock Tower Beach. 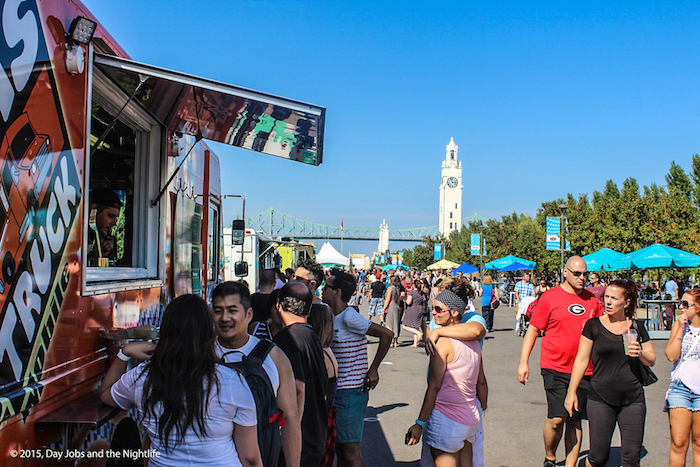 The sun was shining and the weather was warm as Montrealers gathered to celebrate one of the things our city does best, delicious food. 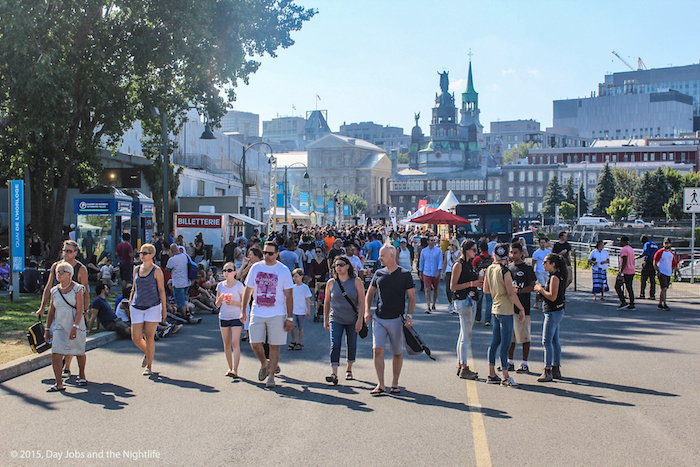 From open air markets to food trucks to coffee presentations and performances, YUL EAT was one of this summer’s biggest bangs! 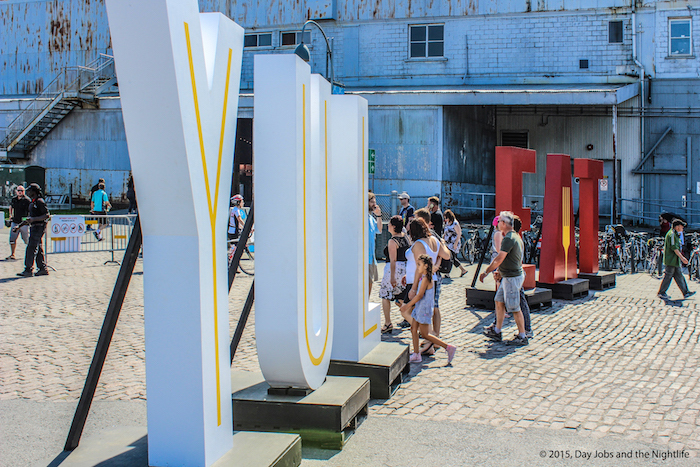 YUL EAT, brought to us by the folks at Evenko and Productions premiers vendredis and in partnership with Delta Airlines, was a delicious mix of free activities, cooking courses, food trucks, conferences and demonstrations, spread out over the long, three day weekend. 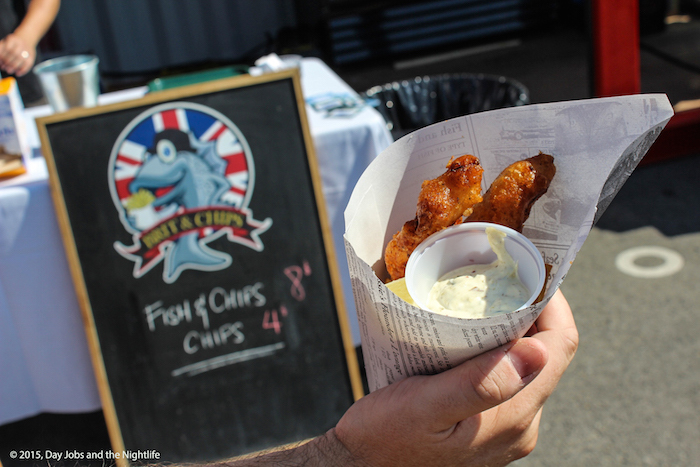 Extending festival season into September, YUL EAT capped off a very busy season of music, food and art festivals across the city. 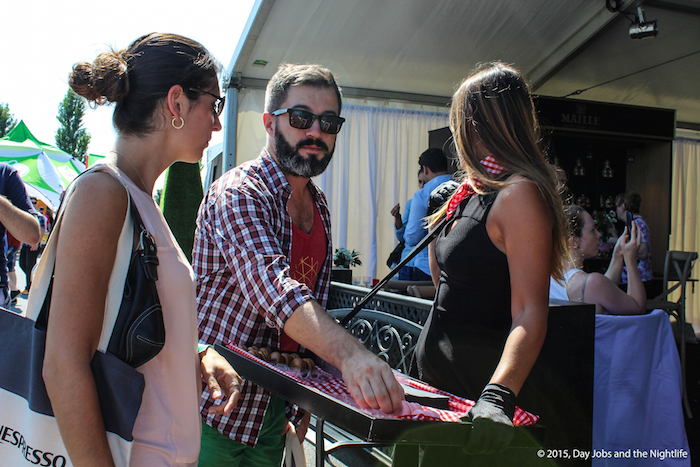 The festival’s brunches (featuring such chefs as Dany St-Pierre, Audrey Dufresne, John Winter Russell and more) were completely sold out with the Exclusive Dinners blended the works of chefs like Joe Mercuri, Charles-Antoine Crête and Emma Cardarelli and culminated in the Monday Night Restaurant Hop on the last day of the festival. Adding a little spice to the mix, local radio and television host, Anne-Marie Withenshaw hosted conferences, a Speaker Series and a Celebrity Roast Competition featuring Julie St-Pierre, Éric Nolin and Patrick Langlois. 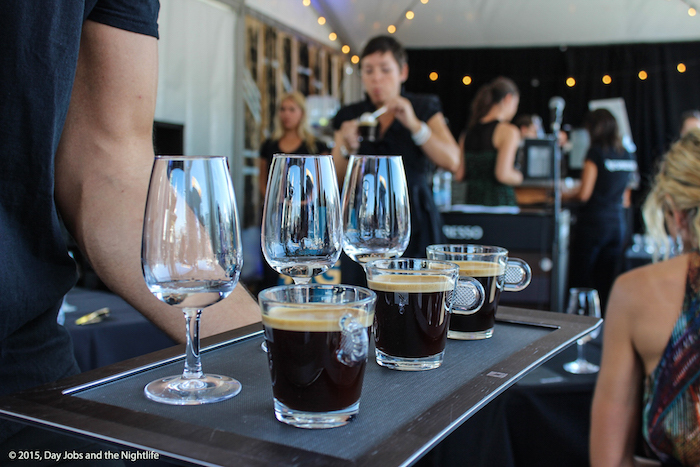 In the Nespresso VIP tent, Canada’s Master Sommelier, Élyse Lambert expertly combined her vast knowledge of spirits and their properties with her latest devotion, the art of the perfect cup of coffee. 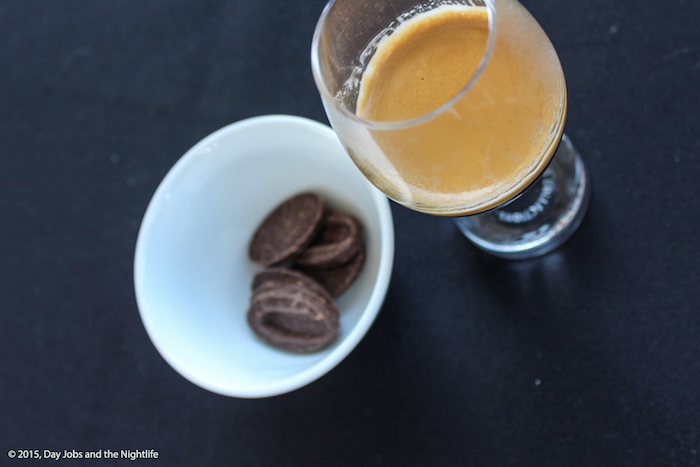 We paired several different intensities of Nespresso coffee with chocolate, whisky and vodka. 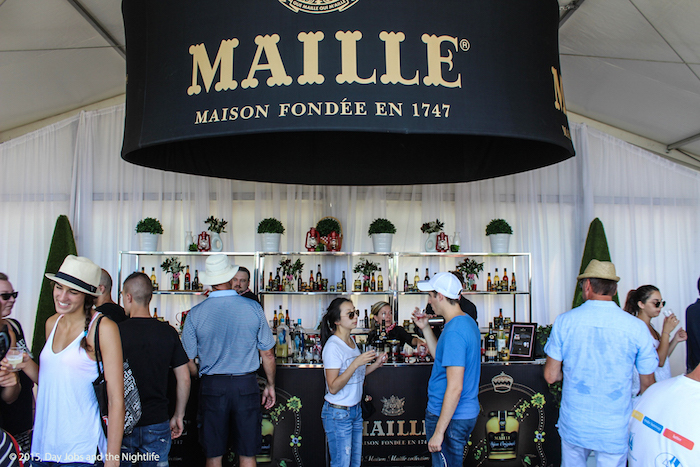 Maille Mustard was one of the biggest attractions at the festival with a tent featuring two mustard tasting stations, macarons made with mustard, a pump pouring up fresh chablis mustard and a cocktail station featuring cocktails blended with Maille mustard. 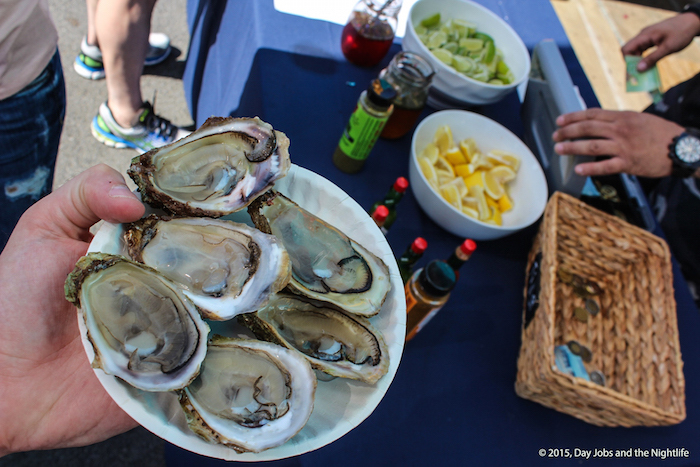 Food trucks of all shapes and sizes filled up the large area with food festival staples like tacos from Grumman 78, tandoori chicken from Phoenix truck, roasted chicken, fish and chips from Brit and Chips and of course, Oysters aplenty. With the sun pouring down on us for three days, the Clock Tower Beach was the perfect location, allowing the breeze from the St. Lawerence River to keep us cooled down. 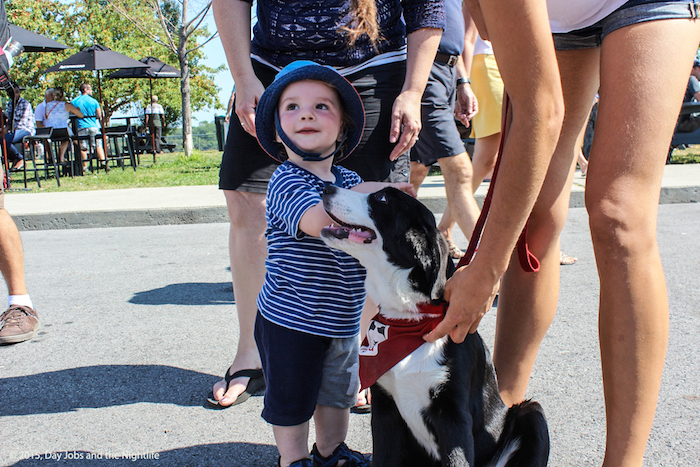 There isn’t a better way to say goodbye to Summer than with one last blowout weekend. YUL EAT was such a great success I’m sure people are already eager to be lined up again next year.